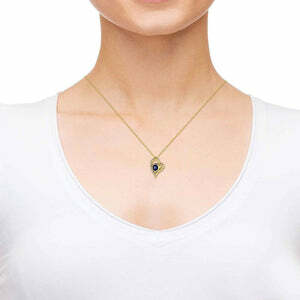 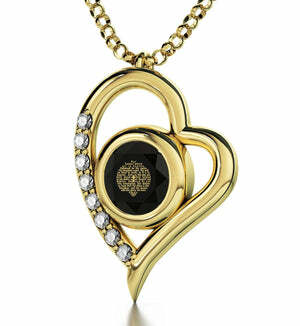 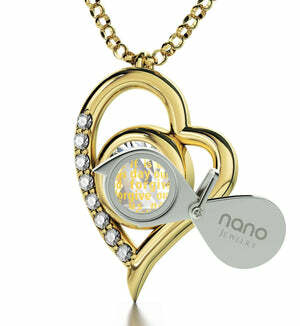 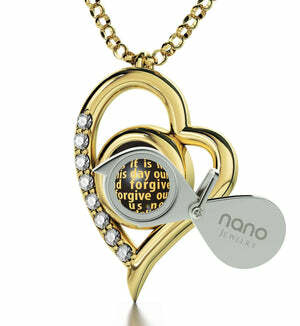 Gifting someone with religious jewelry is trickier than shopping for more commonplace womans gifts. 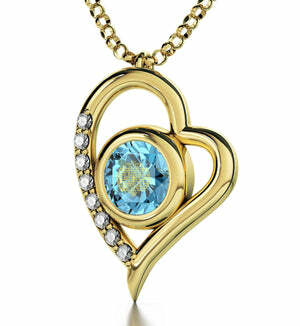 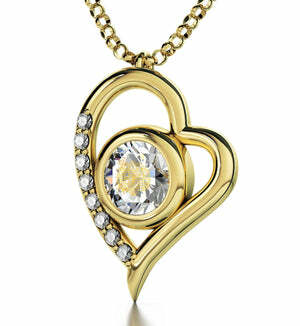 On one hand, it needs to be women’s gold jewelry with style and originality. 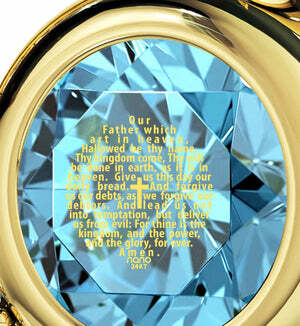 On the other, its spiritual component definitely mustn’t be neglected, or even worse, done poorly. Excellent balance between the two is a must, and an extravagant necklace with which to achieve that balance is right here! One look at its elongated heart-shaped curves makes one instantly aware of its elegance, while the petite diamonds caressing its frame speak for themselves when its luxuriousness is concerned. 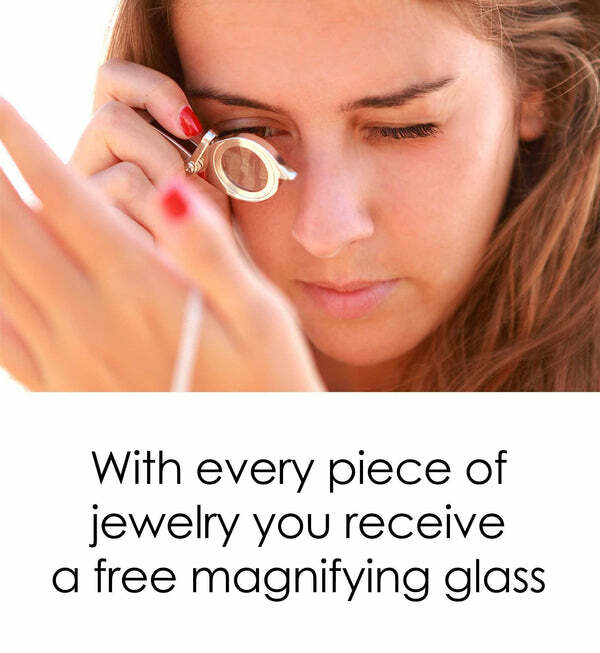 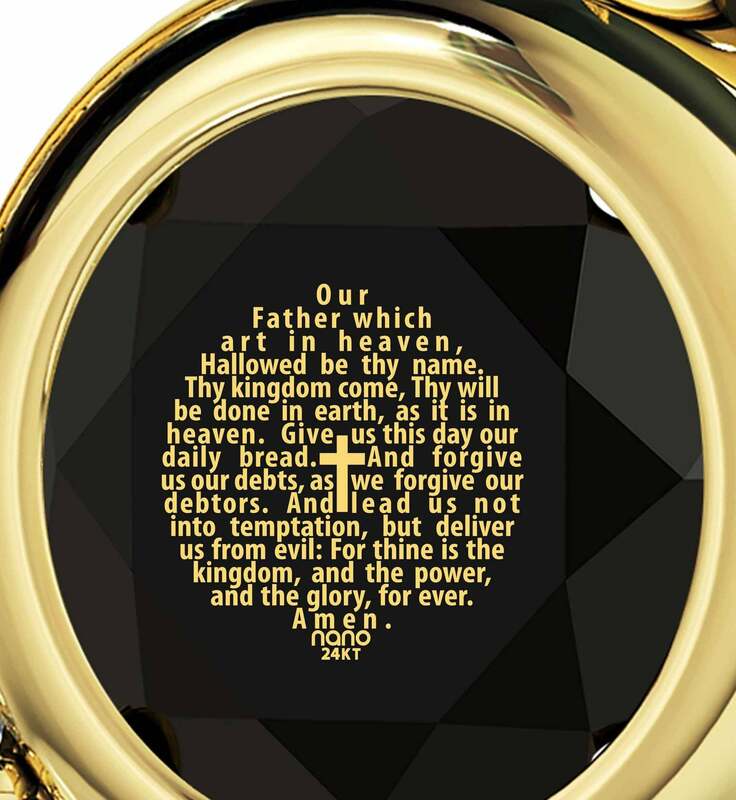 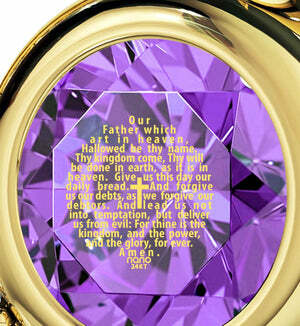 Both of these worldly attributes become insignificant though when measured up against its defining feature – the Lord's Prayer KJV, proudly marking a beautiful round Swarovski gem in pristine gold. Designed to be as everlasting as the prayer’s influence and more defined than most Christian necklaces for women containing similar imprints, it’s a unique item to express her devoted faith and impeccable style with all at once.